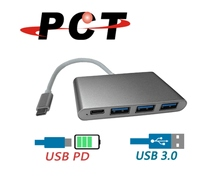 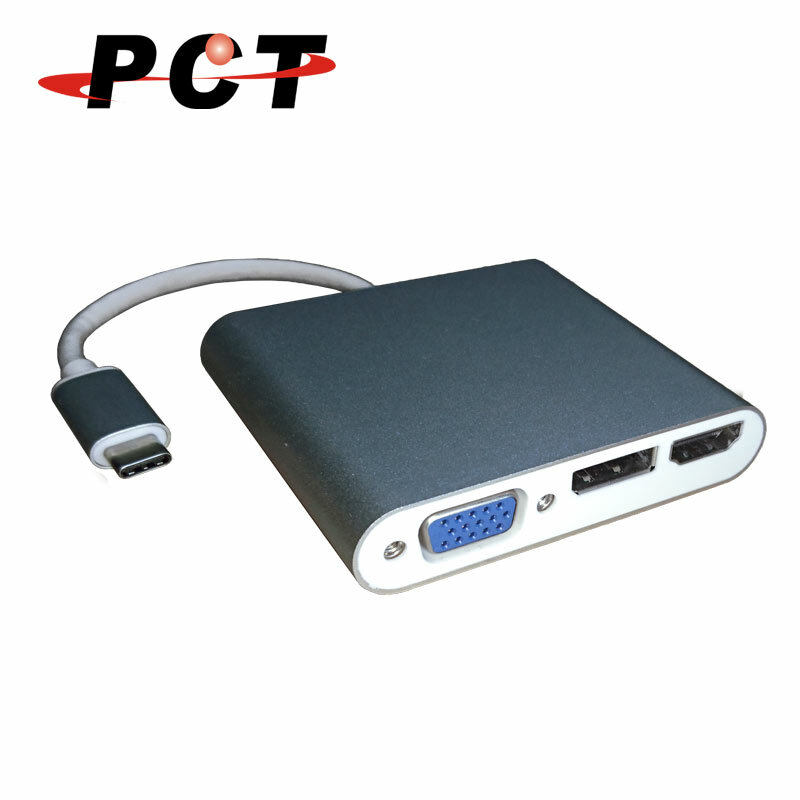 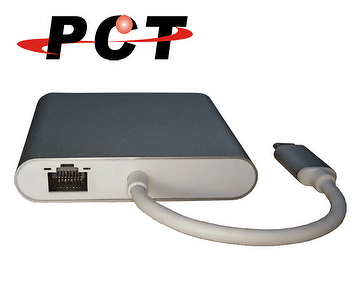 Taiwan USB Type-C to HDMI / DP / VGA / RJ45 Adapter | POWER COMMUNICATION TECHNOLOGY CO., LTD.
Output: HDMI maximum resolution: 4096*2160@60Hz(10.2 Gpbs). 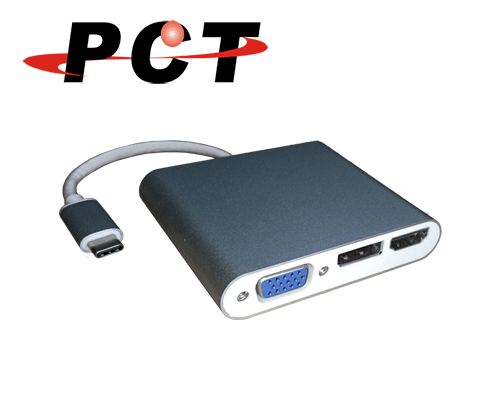 Output: DisplayPort maximum resolution:4096*2160@60Hz(10.2 Gpbs). 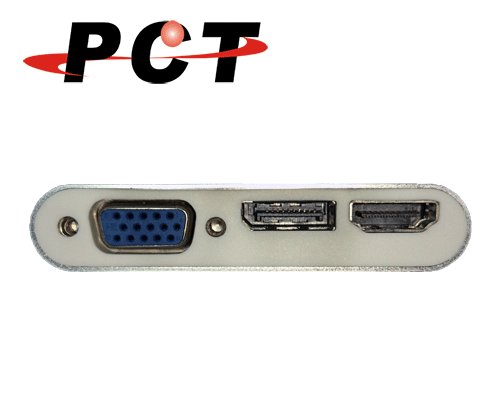 Output: VGA maximum resolution: 1080p. 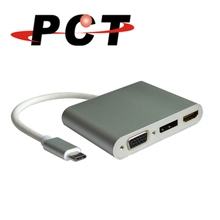 Supports Windows 10, Mac and Chrome Operating System.